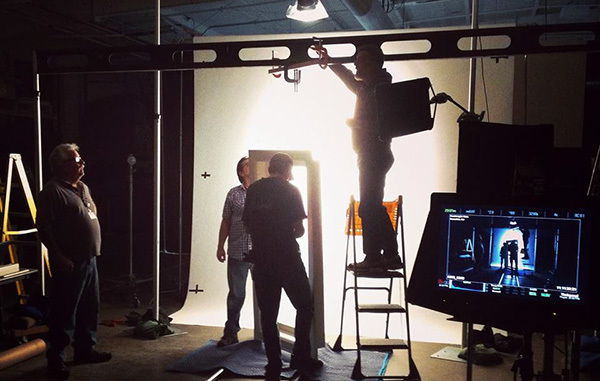 After 16 years in the same RiNo building, a local video production company is looking for a fresh take in new digs. Postmodern Co. is moving into 7,500 square feet at 2710 Walnut St.
Ben Seymour and Trista Wahl purchased the film company a year ago and said they wanted similar features to the old warehouse with tall ceilings. “That’s what we really liked about our old space. As new owners of this company, it gave us the opportunity to add some design elements,” Wahl said. Postmodern will the share the building with four other media companies. Founded in 1992, Postmodern produces videos for companies, nonprofits and ad agencies. Seymour said they average between 30 seconds and 3.5 minutes, and take about three months to make on average. In the last year, the company has worked with clients including Baker Technologies and Bellco Credit Union. It also made a film featuring the NBA’s Steph Curry for GQ Magazine filmed at Denver’s North High School. “Seventy percent of our clients are Colorado-based companies,” Seymour said. Postmodern’s production includes fully animated films, documentary-style films and whatever else might fit a company’s preference, he added. The company employs seven people. Postmodern shared its old 15,000-square-foot building with seven other tenants. The property is currently listed by broker Drew McManus with Cushman & Wakefield.